Our resistance thermometers are successfully used for temperature measurements in industrial applications. Temperature dependence of the electric resistance of metals, semi-condustors and ceramics is used as measuring effect. By voltage drop measurements the temperature-affected resistance can be recorded. Our sensors have a high accuracy. 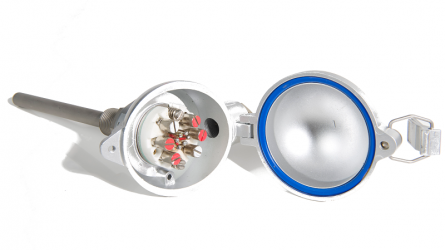 We are able to offer sensors made of 1/10 class B (0.03 °C at 0 °C). Having to withstand adverse conditions during long-duration measurements resistance thermometers made by Thermo Sensor are long-time stable and are frequently used in research and development laboratories. Resistance thermometers can be easily used in the vicinity of high voltages and potentially explosive atmospheres (according to ATEX and IECEx (Ex nA)). The appropriate certificates are available. 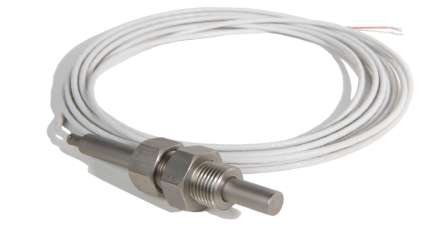 Our sensors are applicable for temperature range from -200 °C up to +800 °C. Thermo Sensors resistance thermometers are available in many versions and different types, e.g. Pt100, Pt500, NTCs and PtCs as well as many installation options for example as bayonet caps, magnets, glue pads, protectiv tubes or screw-in sensors. The accuracy of our sensors is guaranteed by comprehensive functional tests conducted in the final test department or the calibration laboratory. 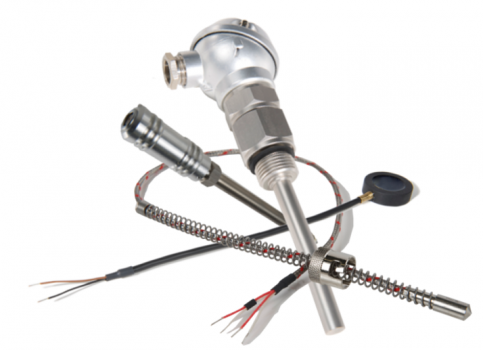 Have a look at our Thermocouples. Resistance thermometers for industrial applications are particularly heat-resistant and partly suitable for temperature ranges from -200 °C up to +800 °C, depending on the materials and components used. 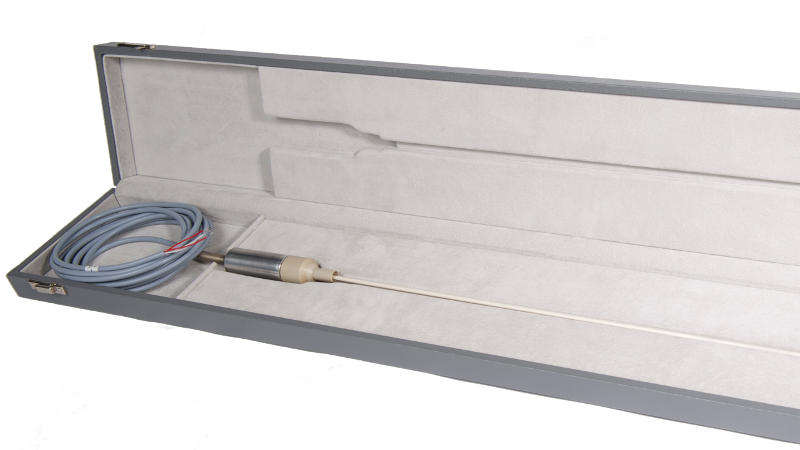 Thanks to their enormous robustness thermocouples for industrial applications are versatile and primarily suitable for measuring temperatures in gaseous, liquid and plastic media. The respective characteristics particularly depend on the materials used. Frequently used materials are platin, different ceramics and heat-resistant steels. There are various combination possibilities, e.g. regarding connecting head, installation length, extension length, connection to the protective tube, suitable for every protective tube dimension and every application. Resistance thermometers for laboratory applications are preferably used due to their accuracy with a deviation of up to 0.03 °C at 1/10 DIN class B and their fast response times. The easy and comfortable handling yields in quick results. All our sensors are tested with state-of-the-art devices. The guarantee for accuracy is made by our on-site calibration laboratory accredited by the DAkkS. Upon request we can produce calibration standards which can be used in our customer's laboratories. Resistance thermometers for the mechanical engineering industry are extremely versatile. 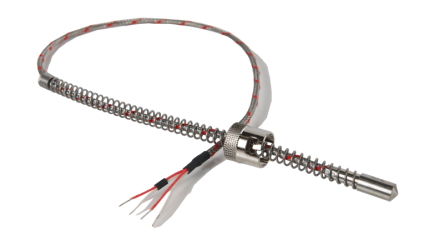 They consist of a sensor with protective tube and connected cable. Resistance thermometers of this type can be combined with a variety of protective tube designs. Various combination possibilities are available, e.g. regarding process connection, installation length, circuit types, suitable for every application. 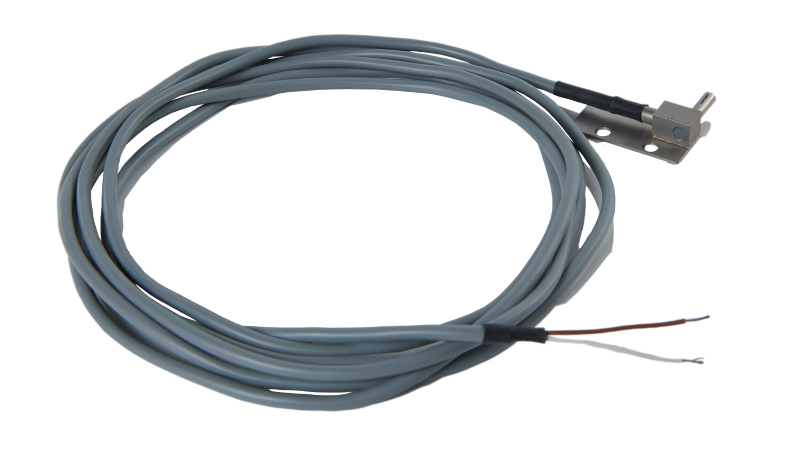 Resistance thermometers equipped with bayonet cap are extremely robust and suitable for temperatures up to +400 °C. They can be easily installed without any tools and are therefore simply lockable whereas the associated stud can be delivered as well. For adapting to the surrounding conditions different insulating material is availabe. Cable ends can be preassembled upon request or delivered with mounted plug. No matter how complex your measuring task may be we will always find the ideal solution for you!